Creamy, delicious all-natural sweet orange scented balm that helps soothe, condition and restore healthy nails and cuticles. Aids in reducing swelling and itching associated with hives, scrapes, rashes and bug bites. All-Natural scent is from Sweet Orange Oil. "I love your Anti-Aging Face Cream and Advanced Eye Gel! After a day in the sun and salt water in the Caribbean, my skin just slurped it up and made it feel smooth again!!! Also the Hive & Scrape Balm was very helpful for cuts and mosquito bites!" Antje - Seattle, WA. "I just wanted to send you a RAVE REVIEW about your product. Dennis and I were doing some work in our backyard a few weeks ago. Our trees were getting overgrown so we were cutting them back and moving them to our utility trailer to take to the transfer station. I had a short sleeve shirt on and my arms welted up with cuts and scrapes from the branches. I used your Hive & Scrape Balm after we were done. It started working almost immediately. The stinging and swelling stopped soon after and the next day my skin was completely fine !!! Your product is AWESOME!!! Thanks so much." Audrey - Maple Ridge, B.C.
" I have found the Cuticle, Hive and Scrape Balm to be very effective on hives. 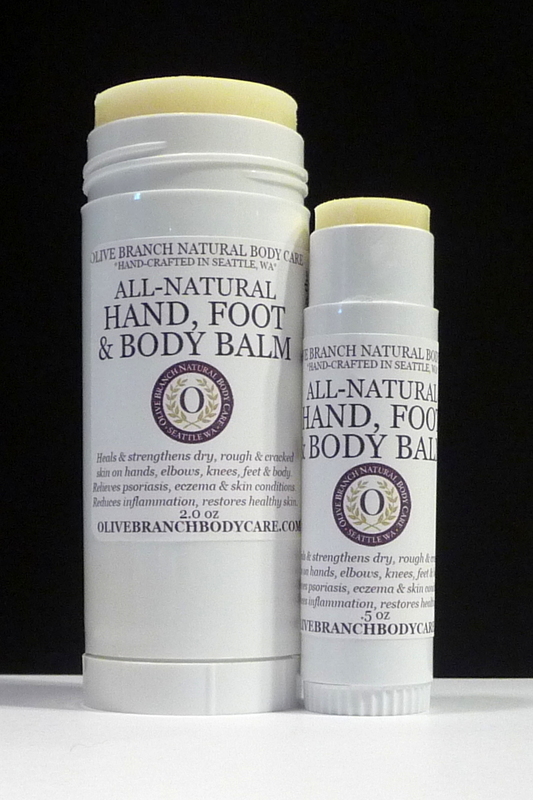 Since I am allergic to many foods I use this balm frequently and it eases the itching and swelling immediately. And soon you would never know they were there. I am sold on this! It works great on cuticles too." "I love that stuff for my son. He had a rash from the bandaids we used for his cut, the balm was the only thing that healed that up. Just the other day, he had two large hives from handling a kitten. I put some balm on before bed and by the next morning they were gone. I didn't even have to use Benadryl." Ingredients: Butyrospermum Parkii (Shea Butter), Organic Coconut (Cocos Nucifera) Oil, Organic Beeswax, Olea Europaea (Olive) Oil, Lanolin, Citrus Sinensis (sweet orange) oil, Hippophae rhamnoides (Seabuckthorn) Oil. For women and men. For women, men & children.